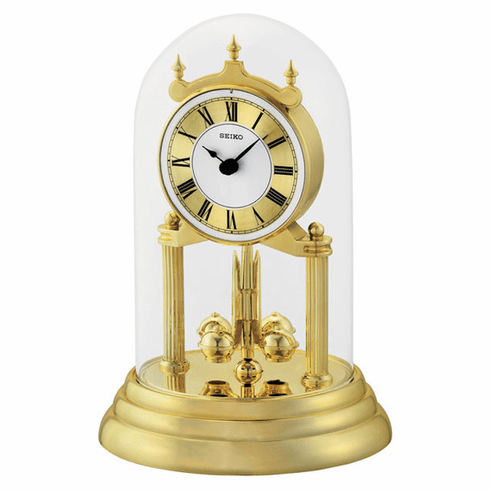 This anniversary clock features a glass dome with rotating pendulum. Vacuum-plated plastic base. Requires two "AA" batteries (included). Dimensions: H: 9-1/4" x W: 6-1/4"